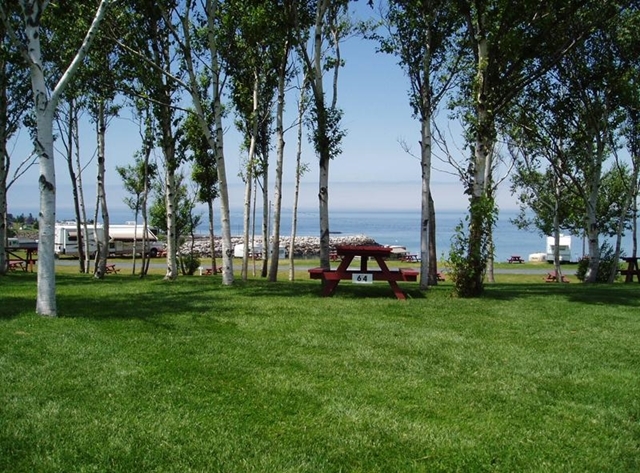 Site #64 is a grassy, unserviced Water View tent site overlooking the Bay of Fundy and the RV section of the campground. 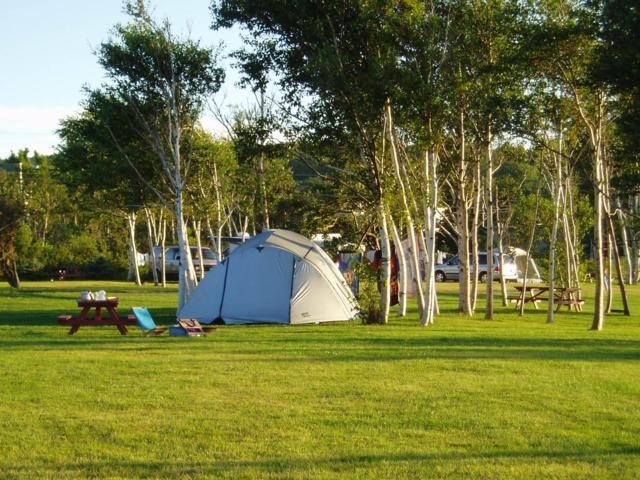 This site shares a birch grove with Sites #65 and #66 and is close to the playground, pool and washrooms - making it an ideal family camping area. The site will accommodate one or two tents and is equipped with a picnic table and fire ring. We absolutely loved our campsite! We were able to see the sunset and tides roll in - how peaceful. Thank you for a wonderful experience!